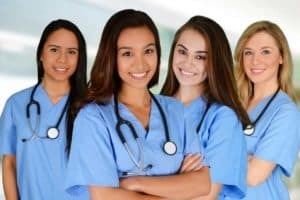 Our Employment Solicitors Manchester specialist for nurses and midwives offer representation in all cases presented by the Nursing and Midwifery Council (NMC). The following information describes the disciplinary process as outlined by the Nursing and Midwifery Council. Any case brought to the attention of the Nursing and Midwifery Council will be evaluated by a screening team. If the case is believed to merit further investigation the matter will be passed on to the case examiners. Case examiners will evaluate all the evidence presented to them. This includes information presented by the nurse or midwife in their defence. Case examiners are also entitled to seek further information from specialists or experts in the field of which the complaint has been made. On completion of the investigation, the case examiners will decide whether or not to pursue the case and bring it before a hearing, or whether to reject the matter at this stage. If the case examiners cannot come to an agreement, the decision will be passed to an investigation committee to resolve. The hearing will be brought before the Conduct and Competence Committee or the Health Committee, depending on the subject matter of the complaint. The hearing panel will consist of both medical and lay members, who will assess the nurse’s or the midwife’s fitness to practice. A solicitor is appointed by the Nursing and Midwifery Council to present the case. The panel will review all the information and documentation presented to them. Witnesses and experts can be called to present information for both the defence and prosecution. The nurse or midwife should be given every opportunity to present the case for their defence. The nurse can appeal to the High Court against any decision or judgement within 28 days of the decision. Our specialist employment law solicitors will be happy to represent any nurse or midwife involved in internal disciplinary proceedings being carried out by their employer or line manager. If you are subject to proceedings carried out by the Nursing and Midwifery Council in respect to your role as a doctor, please contact us on 0161 82 11 559, or complete the form on our enquiry page. One of our dedicated team will contact you as soon as possible to discuss your case, possible outcomes and all of your available options.